What a rare find!! 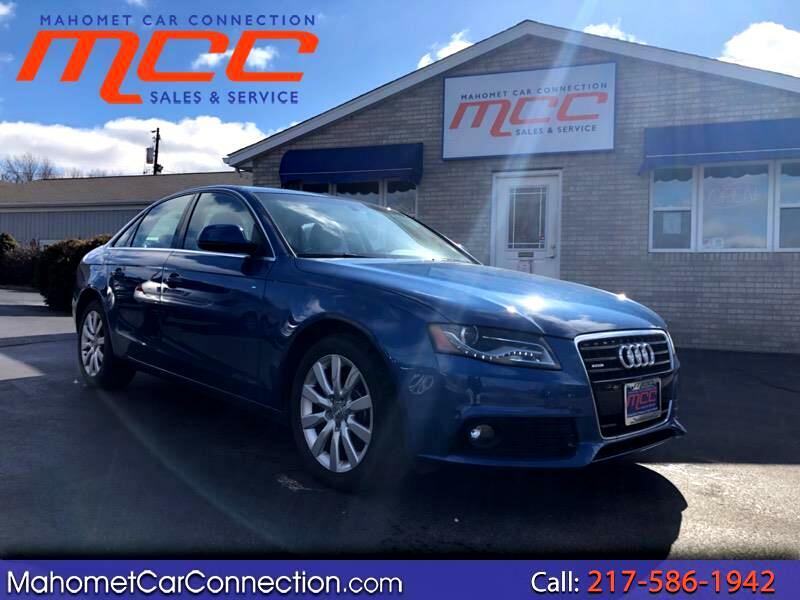 2009 Audi A4 with only 48k miles!!! Excellent condition!! Come feel the luxury of Audi! Inspected by our Certified VW and Audi technician. Equipped with the very fun and sporty 3.1L V6 engine and the All Wheel Drive powertrain for lots of fun driving! Premium Plus model includes LED running lights, auto dimming side mirrors, three zone climate control, heated leather seats, sunroof, and Audis MMI media display with Bluetooth phone connectivity. Safety features include anti-lock brakes, traction control, side curtain airbags, and a five star crash test rating. Come experience the MCC difference! !